My 4 year old MacBook can’t handle editing HD video. It will do it, but very slowly, and many functions of Premiere are not functional. 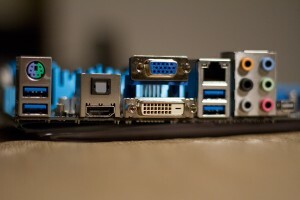 After a lot of research, I drove up to Frys in Renton and bought a box of computer parts. This box included case, motherboard, ram, processor, cpu fan, couple of hard drives, power supply last but not least, Windows 8. After getting my MacBook I swore I would never go back to the dark side…and I probably never would have had it not been for getting into video editing. My Mac was never intended to be a video editing machine. It has been awesome…beyond awesome really, compared to my earlier Windows laptop. 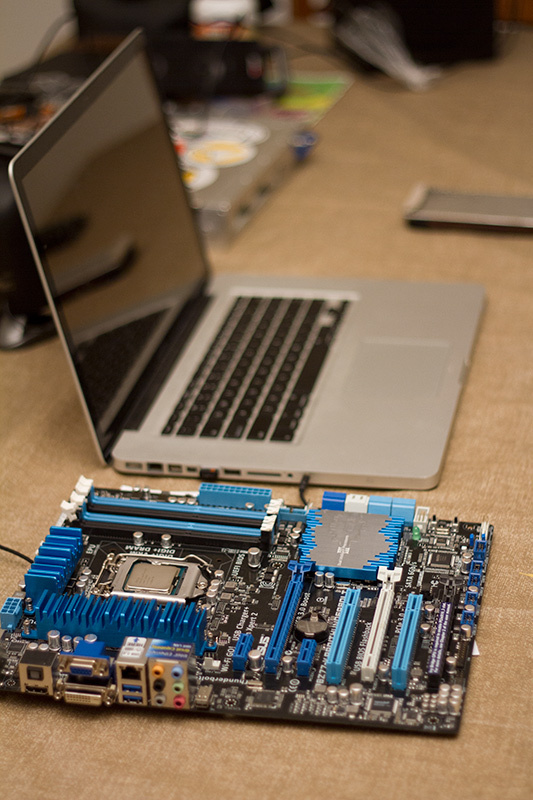 But when you look at this picture of my old Mac, next to my new motherboard, it all becomes clear. True, I could have build a Hackintosh, or spent $7000 on a new Mac tower, but neither of those were good options…not the least of which is lack of funds. I built a couple pc’s back in the last century with friends. But this was the first one I built alone. It went surprisingly well. It was so fun I wore myself out burning the midnight oil during the work week. Before I even started I watched these three videos on youtube from newegg. They explain the process…really good stuff! Windows 8 is freaky, but there are tutorials on that too. A good friend of mine works for Bill and told me it’s worth the trouble to learn. The build took me 8 hours.The only hitch I ran into was some bugs in my video cables…had the wrong ones for the card to monitor match up. During that confusion, I tried to remove my video card, and forgot it was locked into the motherboard with a little plastic lever. It’s the old “bull in a china shop” story. 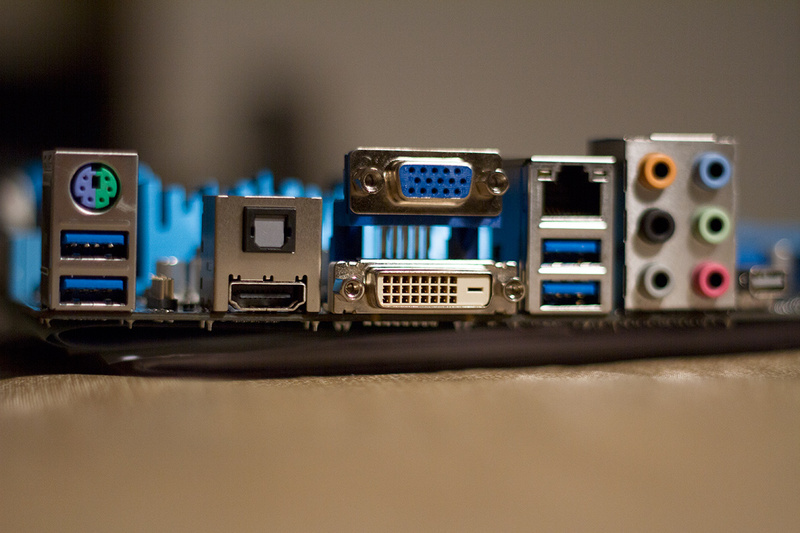 I heard some cracking somewhere and stopped pulling on the video card. I almost destroyed the motherboard and the card. Sheesh, that would have been extremely expensive. But all is well now. What used to be a 3 hour render time on my Macbook is now a 5 minute render. This is my latest video, edited on my new Windows 8 box.